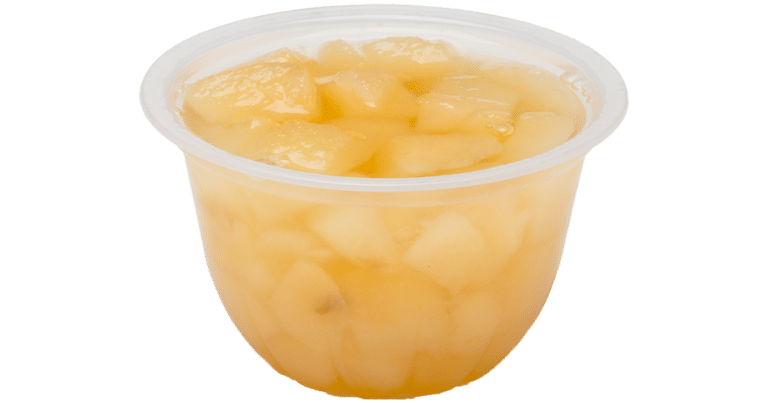 Diced pears in pear juice from concentrate packed in four ounce plastic bowls is a non-standardized product. Ascorbic acid is added to protect color. Diced pears, water, pear juice concentrate, ascorbic acid (Vitamin C) to protect color, naturally derived citric acid.